The University of São Paulo (Portuguese: Universidade de São Paulo; USP) is a public university in the Brazilian state of São Paulo. It is the largest Brazilian university and the country’s most prestigious educational institution. USP is one of the largest institutions of higher education in Latin America, with approximately 90,000 enrolled students. It has eleven campuses, four of them in São Paulo (the main campus is called Campus Armando de Salles Oliveira, with an area of 7,443,770 m²). 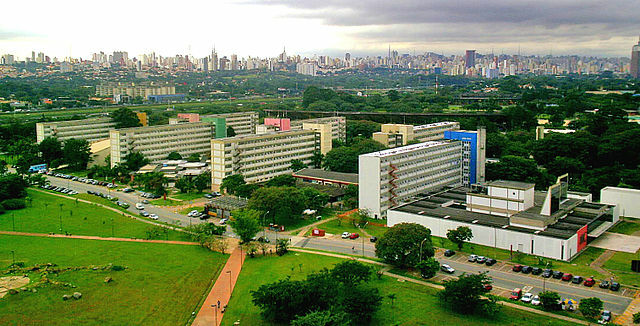 The other campuses are in the cities of Bauru, Lorena, Piracicaba, Pirassununga, Ribeirão Preto and two in São Carlos. USP is involved in teaching, research and university extension in all areas of knowledge.